Travel isn’t something we talk about often here on Live Simply, and it won’t be a regular topic in the future. But it is something that has become an important part of my family’s life, so I’ve decided to add a small travel section under Wellness. (I wasn’t sure where to organize this topic.) There’s already information over there about travel snacks and natural remedies for travel anxiety. A few years ago, our family began traveling together. Before having kids, Dustin and I enjoyed traveling. We keep a list on our phones of all the places we’ve been together, and many of these destinations were enjoyed before having children. Now that our children are a bit older, it’s our goal to share this gift of travel with them. Instead of purchasing a bunch of gifts at Christmas, we now have a tradition of giving the gift of travel. These adventures are family gifts. The money that would have been spent on stuff goes into the family exploration fund. Each year these adventures look a bit different. One year we may drive to a local spot to explore hidden gems for a few days. Another year, we may travel somewhere that requires more planning (both financially saving and planning lodging and flights). Highlights from the past family adventures include: camping at a local campground, driving through Michigan and then traveling via train to Chicago, swimming near the Turks and Caicos, enjoying the best food in Nashville thanks to a hurricane evacuation (an unplanned adventure), and exploring the gorgeous country of Iceland. Our main goal behind this tradition is to encourage togetherness and experiences versus amassing more stuff. The goal isn’t minimalism, elimination of things, or exotic travel; rather, the goal is intentionality and thoughtfulness and creating memories together. For us, we all love to travel (whether near or far) and so, for now, traveling as a family is an intentional gift that can be enjoyed together. 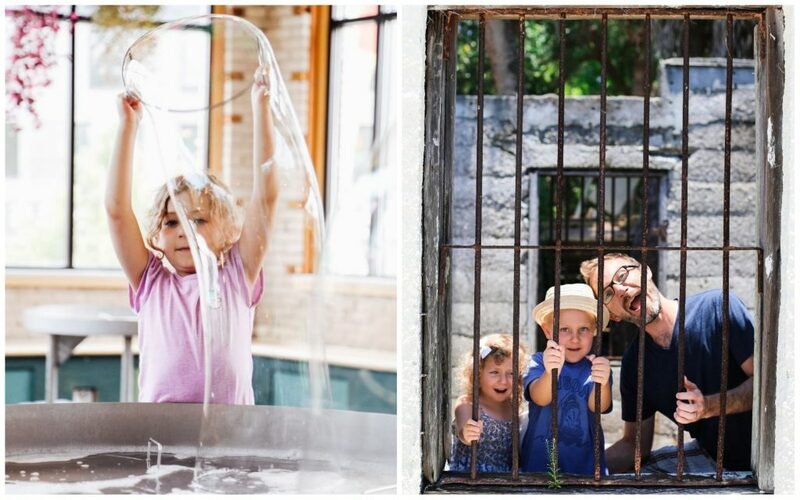 Of course, these adventures mean we’ve learned a lot about traveling with kids–whether that’s by car, plane, train, or boat. 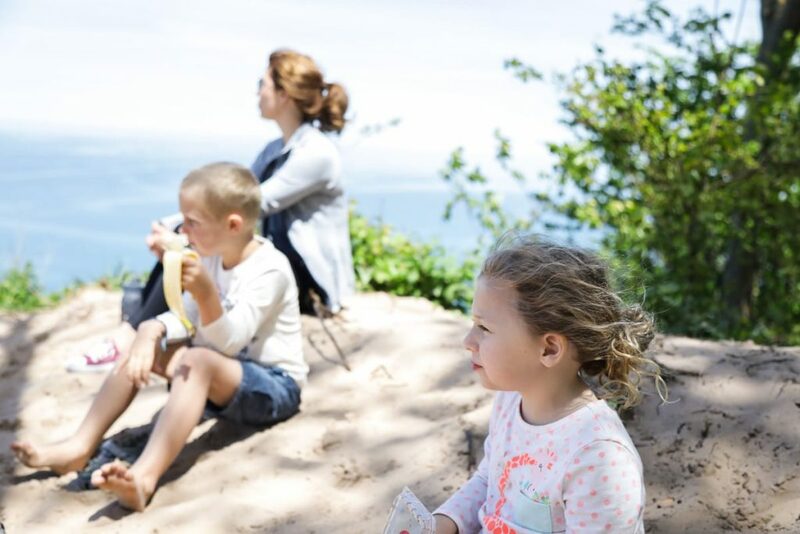 We’ve done it all when it comes to travel transportation, and we’ve picked up a few strategies along the way that make traveling with children enjoyable and simplistic. When we fly or drive, particularly when a trip will take several hours, we try our best to coordinate this travel time around the kids’ schedule. For example: In the morning and evening the kids are usually chill and don’t have a ton of energy. This is the perfect time for them to sit and enjoy still activities or sleep. 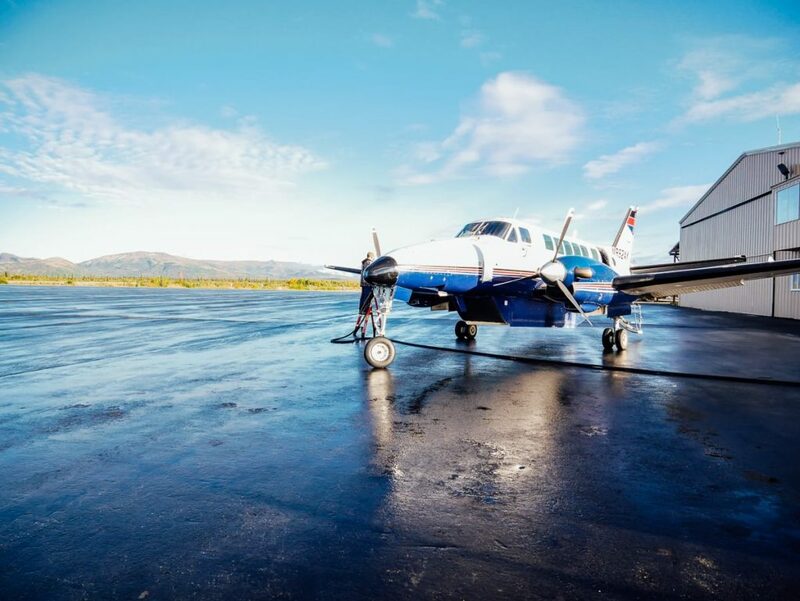 Our favorite time to book a flight is in the early morning, when the kids are still tired, or at night. Every child is different, so think about what time of day (or night) will be best for your particular travel plans. This also means thinking about how much your child can handle in one day. 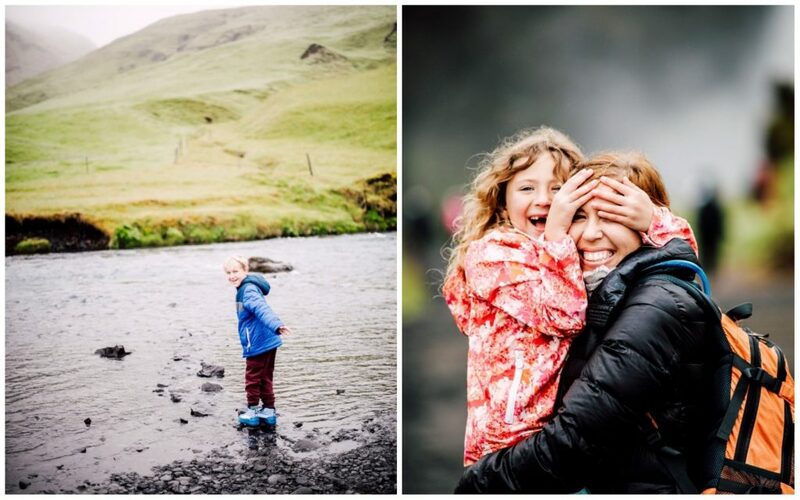 When we went to Iceland, we knew connecting flights in a busy airport on top of an overnight flight that same evening might be too much for the kids, so we purposely looked for a direct flight. On a road trip, this looks like breaking up a trip with an overnight stop along the way, or a few rest stops. Chardea, from the Live Simply Team, recently traveled by car to Georgia with her two boys. To make the long ride more enjoyable, she packed scooters in her trunk and stopped at rest stops every few hours to allow her boys to get their energy out with scooter time. A ball would be smaller and probably just as enjoyable. When we traveled without kids, we could go, go, go. Now, as a family, we have to think about what the kids can handle, and what we can handle as parents. We have to be realistic about this and plan accordingly. Remember, there are seasons for everything. If your kids are small, a day trip that only requires an hour or two drive may be a good place to start. It’s vital to allow yourself enough time to check in, go through security, and find your gate. Also, if you’re connecting flights, make sure you have enough time to land and get to your next gate. Kids usually need a bit more time to walk and use the bathroom between flights. If your connection is going to be close, have a plan for how you’ll get to your next gate. Think about this in advance. Will one parent have free hands available to carry a child? Maybe this parent doesn’t need a larger carry-on. Will you ask the child to use the restroom before landing? Being prepared (and flexible) is the best way to minimize stress when traveling with kids. If you arrive early, think about ways to keep the kids active before flying. I recommend avoiding electronics, snacks, etc. during this time. A scavenger hunt is a fun activity to keep kids active in the airport terminal. Make a printable sheet or create a note in your Notes App with various things you might see at the airport. Check off each item with your child. This also makes for a fun activity on road trips. Be prepared when it comes to electronic entertainment. Download Netflix shows ahead of time on your phone or tablet, or download games that don’t require an internet connection (unless you know you’ll have a solid connection during your travel). Audiobooks are also fun for children who enjoy listening to stories, or for an overnight flight. The same goes for music. Think about downloading music your child will enjoy listening to during travel time (Spotify is my favorite). And remember to pack headphones in the special travel bag (more on that bag soon). Travel as light as you possibly can. Traveling with too many bags and too much stuff is stressful, especially when traveling with children. Think about how many days you’ll be gone, and pack exactly what you’ll need and only items you can’t purchase at your destination. Speaking of flying minimal, car seats can take up a lot of room. When flying and renting a car, we either rent carseats from the company or bring BubbleBum Boosters now that the kids are older. Keep carry-on bags simple and small. Our general rule: If the kids can’t carry their own carry-on items, they have too much stuff. For flights, the kids bring a size-appropriate backpack for an extra pair of clothes and/or jacket (if we’re traveling to cold weather or vice versa) and anything that may be needed within the first few hours at the destination or during a layover, but not the actual flight. The kids also carry a small clear bag. This carefully-curated bag contains everything they can enjoy during a flight. A few days before our trip, we invite the kids to pick out a special treat (usually a candy) and a couple of snacks for the bag. We also fill this special bag with 1-2 activities that will interest the kids. The key to building excitement over these activities is to keep them a mystery until the travel day. For example: For our Iceland flight, I packed a mermaid coloring kit which included crayons and stickers in Londyn’s bag the night before our flight. She was so excited to find this activity in her bag. The novelty of the item kept her entertained for a portion of the flight. 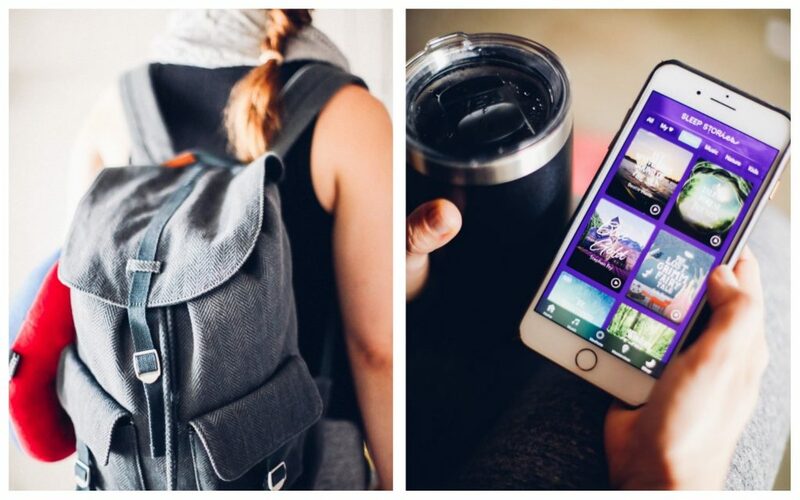 This special bag idea works for car and train travel, too. 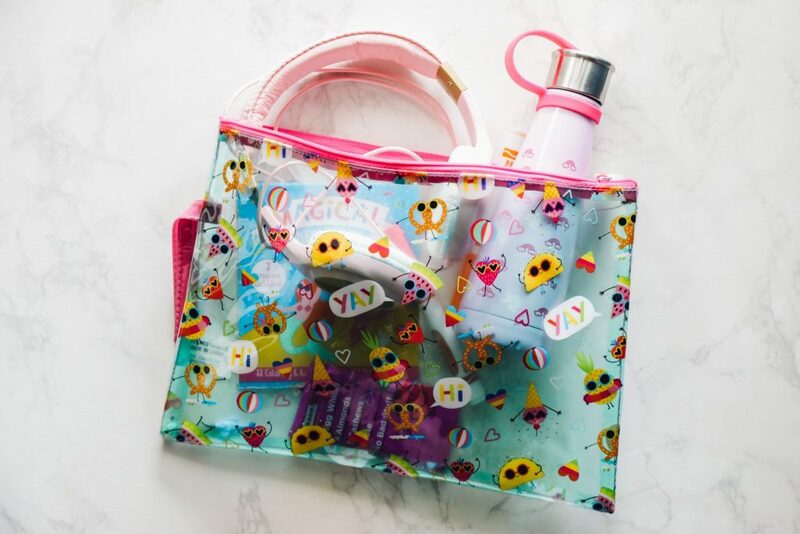 The key to making this special travel bag work is to include a snack, fun treat, activities that fit your child’s personality, and anything else that will help your child during the travel time. I’ve found that using a clear bag that’s easy to carry allows the child to see everything in the bag. This keeps the child from dumping everything out in order to find something. <–No parent wants to deal with that. This one is self-explanatory. Most airports offer water filling stations now, so it’s easier than ever to travel with a water bottle without having to wait in a Starbucks line. My kids both have small LifeFactory bottles that are great for daily use, school, and travel. (They are glass.) And when you’re on the road, bring a gallon or two of water so you can refill bottles throughout the trip. 1. Something fun. Let the kids choose this fun snack. We take our kids to Whole Foods a few days before traveling and ask them to pick out a fun treat that can only be enjoyed on the plane, in the car, or on the train–whatever mode of transportation our trip involves. The excitement over this special snack is unreal. If your child isn’t old enough to wait for this treat, you may want to choose the treat and pack it in the special bag. 2. Something nourishing. The fun snack is probably not going to be the most nourishing option, and that’s fine. We know that our kids need nourishment to stay happy and functioning during our travel time. Nourishing snacks may include sliced apples and a nut butter, cheese slices or a cheese stick and crackers and grapes, granola bars with a clean ingredient list, or a sandwich. Think about how long you’ll be traveling and pack just enough snacks to make the travel time smooth and enjoyable. No one wants to deal with a hangry child. Read more about my favorite real food travel snacks, here. Also, you know those fruit pouches? The baby food pouches? Yea, those. Don’t pack them when flying, at least that’s our rule. Those things can be really messy, and no one wants to deal with leaking baby food pouches. We usually visit the grocery store when we arrive at our destination, and also enjoy as much of the local cuisine as possible–particularly when traveling to a unique food place. Whether you’re traveling locally, across state lines, or internationally, I highly recommend keeping a log/journal with your child. It’s so sweet to look back on these journals and remember family times together. Plus, as a former teacher, I can’t help but think of the education benefits ?. For our recent trip to Iceland, I found blank spiral bound books from Michael’s Craft Store. Each night the kids would add to their journal—a story/memory from the day and a hand-drawn picture. Occasionally the kids would find a postcard or special something (i.e. a boarding pass) to add. It was fun to hear about the activities that made an impression on the kids in their own words, from getting stuck in the mud to staying awake the entire overnight flight (a proud accomplishment for Piper). Once we arrived back in the States, we printed their favorite photos from our big camera and added them to their books. This trip required its own journal. 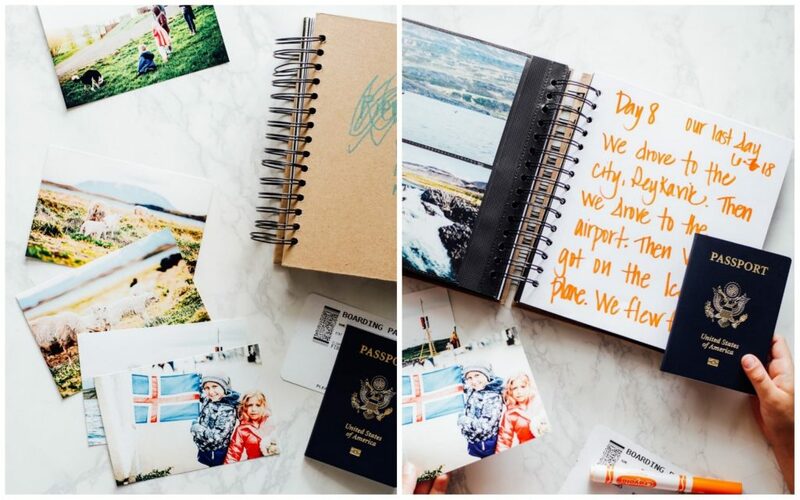 For smaller trips, an on-going travel journal is the way to go. When you arrive at your destination, encourage your child to record their travel experience. Continue this practice each day of the adventure.